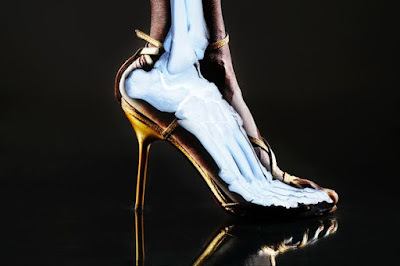 Did you know that 25% of your bones are located in your foot? and women are four times more likely to experience foot problems than men? Shopping for your first proper walking shoes should be done be you. It's crucial for you to figure out which shoes work best for you. 1. Make sure it fits perfectly. Yes maybe it's the most common tip but the key is that your shoes should fit the size of your feet. This is because every walking step you take exerts pressure up to three times your body weight on your feet. 2. Your feet should feel supported and balanced when you have on your heels. Stiletto is ideal for you because it balances your weight evenly from heel to the toe. But please, avoid stiletto heels that don't provide support okay! 3. When buying shoes, make sure they feel good and have enough room for your toes. Open toed shoes allow your toes to relax naturally without making it overlap each other. But if you prefer to wear closed toe shoes, be sure that there's enough room in your shoes around the toes - about the width of your thumb so you won't harm your feet. 4. If unusual wear high shoes, start with a low heel first. Practice, practice and practice! If you're not used to walking in high heels, it'll make you feel very unnatural. 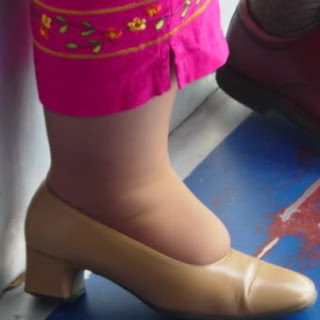 You can absolutely start with a lower heel. Walking in high heels take practice. You can practice wearing your heels around the house. Feel the art of walking in high heels. 5. 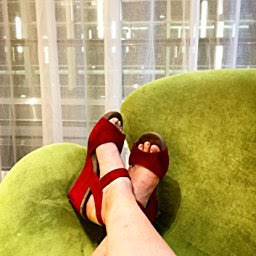 Sky high heels are sexier than shorter styles, but there's no use if you do not know how to walk in high heels. 6. Do not be fooled by the expensive brands. The label is not everything. Even if you love the brand, but if it does not fit, you probably will not wear it. So girls! 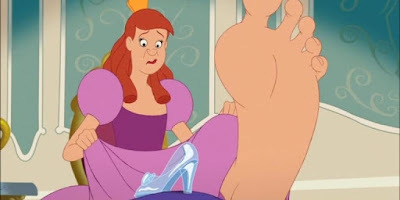 Remember that it is always important to allow your feet to rest after wearing high heels. Don't make them suffer. It's time to say "Yes!" to comfort.